Exercising regularly is one of the best things you can do for your overall health, and rowing is an exercise that certainly will benefit your entire body. Even though it’s a low-impact exercise, it’s challenging and, I would argue, one of the most effective exercises you can find. 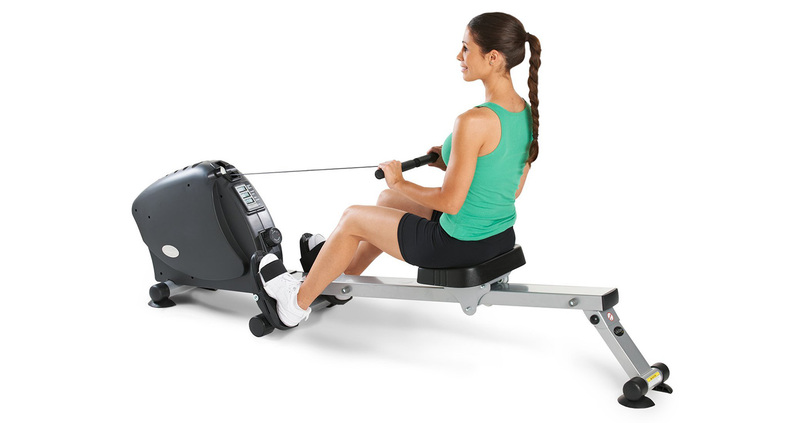 Few other exercise machines offer you the combination of benefits you get from rowing, It’s also fun. and you can enjoy your favorite TV shows while you work out or play games on the monitor console of some rowers. 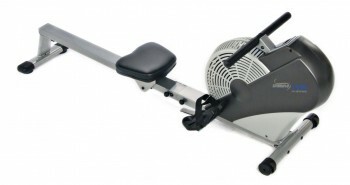 One of the reasons I took up rowing is that it gives you an excellent cardiovascular workout. Because all your major muscle groups are engaged, it’s a very good exercise for your lungs and heart. You increase the amount of oxygen that your lungs supply to your heart, blood and overall body with every stroke that you take. 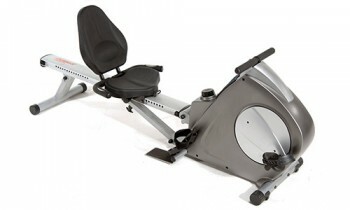 Even if you row at a moderate, steady rate you can get a good cardio workout in as little as 30 minute. As heart disease is a common concern for those with poor cardio-respiratory fitness, rowing is a great way to help you stay healthy. If weight loss is one of your fitness goals, I am happy to tell you that rowing is an excellent calorie burner. You can easily burn about 600 calories an hour on a rowing machine with moderate resistance and even more at the highest resistance level. That is more calories than you will be able to burn on the average treadmill or exercise bike, plus rowing is low-impact and will not be as hard on your joints. You will strengthen and tone all your major muscles by rowing. The act of constantly pushing and pulling the handles and your legs against resistance engages your entire body and contributes to the full-body workout that you get from using a rowing machine. When you increase the level of resistance in your workouts periodically, your muscles will grow and become stronger. Although the entire body gets a workout there is more emphasis on your quadriceps and your front thigh muscles. The more you row the stronger they get and the easier it will be for you to do other activities with greater strength and efficiency. Another reason I like rowing is that it’s a low-impact activity. 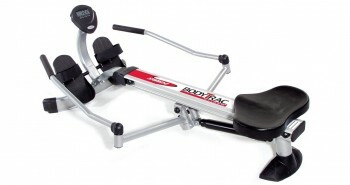 While you are rowing your feet stay in constant contact with the footrests and your hands are always on the handles of the rower. For this reason, rowing will cause little or no stress on your joints. Knees, ankles and shoulders are all vulnerable to injury when you perform weight-bearing exercises, but with rowing there is virtually no impact on these joints. Once you keep proper form, rowing will be easy on your joints and this makes it particularly ideal for those recovering from injuries, the elderly or exercisers who have health concerns. Rowing is also thought to reduce psychological stress and can, in some cases, help to relieve feelings of depression. As with most other kinds of cardiovascular exercise, rowing produces an increase in endorphins released in your brain. Endorphins are ‘good feeling’ hormones and having more of them helps to reduce stress that you may be experiencing. When you watch TV or listen to music during your rowing workout, you will feel even more relaxed and release more endorphins. 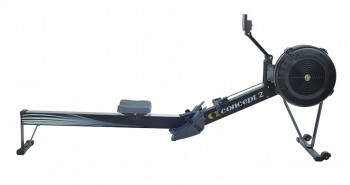 To get the most out of your rowing workout, it is important that you maintain proper form. If you don’t, you be injured at worst and receive fewer benefits from the exercise. If you are uncertain about the correct rowing form, I strongly advise you to consult with a rowing trainer to make sure you don’t put yourself at unnecessary risk. 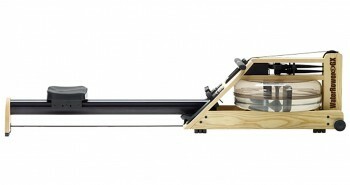 If you are new to rowing, you should start at a slow pace and gradually work your way up. As you row, row, row your (imaginary) boat, safety should always be your top priority.